Spacious, modern 4 Bedroom, three storey end town house! Help To Buy is available. 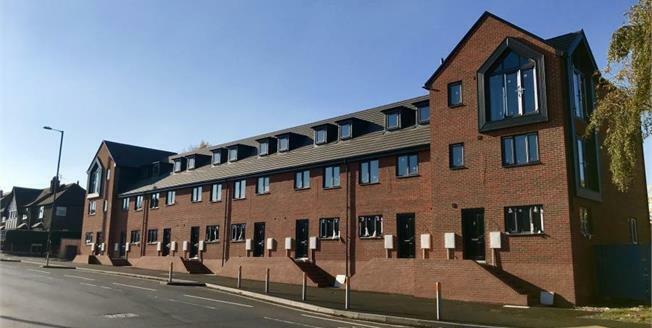 Bradgate Mews - Our exciting new development in Sherwood, Nottingham, built by Bradgate Homes. Help to buy is available - please enquire for further details. This is a government funded scheme. This Four Bedroom, three storey semi-detached town house comprises of a spacious hallway, downstairs WC, to the front of the house, kitchen-diner wih Magnet kitchen, integrated oven and hob and fridge-freezer. Lounge area with French doors leading out to the rear garden. First floor there are two double bedrooms with a family bathroom, includes shower over bath. Second floor comprises of Master Bedroom with ensuite and a fourth double bedroom. Reserve off plan and the developer will give you the option of choosing kitchen colours and flooring for the property. Allocated parking to the rear of the property. Fantastic access to Nottingham city centre, city hospital and major transport links including the NET tram network just a short walk away. CGI photos included in this listing are for illustration purposes only. Please call 07922 572218 for further details.